The Indonesian delegation shines the spotlight on Batak and the ‘Extravganza of North Sumatra’! 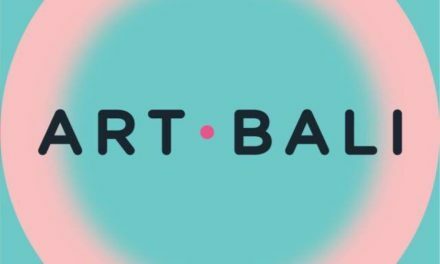 Apart from a performance showcase for the more than 2,000 spectators who watched it at the F1 Pit Building and Marina Float here, an estimated TV audience of around 200,000 Singapore viewers watched it live on television; there were broadcast relays to several other countries as well. This year, apart from Indonesia, Chingay also attracted international groups from Thailand, Russia, Korea, Japan, Vietnam, Taiwan and Malaysia. 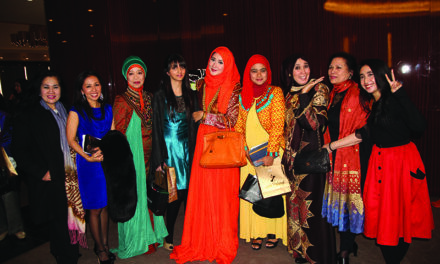 This year’s contingent under the name Zamrud Khatulistiwa, meaning Emerald Equator, continued to receive the full support and organisational help for the event by the Indonesian Embassy in Singapore. 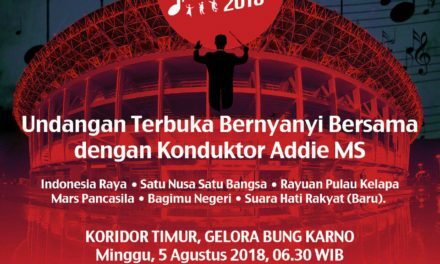 The lead was provided by Rumah Budaya Indonesia (RBI) under the guidance of the Education and Culture Attaché (Atdikbud) Ibu Aisyah Endah Palupi. This year for the first time there was a Carnival Area for street entertainment and and LKB (Lembaga Kerjasama Budaya) Widatra Unimed showcased the daily activities of the Batak Toba ethnic group in North Sumatra. 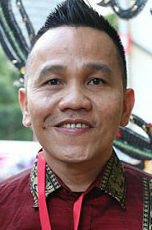 This year’s representative head of the Emerald Equator delegation was Bapak Martozet, S.Sn, M.A. from Universitas Negeri Medan (Unimed). Bapak Martozet, who is also the choreographer said, “This is the second year Unimed is taking part in Chingay. This time though we are taking the lead role at the head of the Indonesian group!” The Unimed students succeeded in creating a very favourable first impression with support from the other Indonesian cultural groups from Bandung, Surakatra, Singapore and Jakarta. 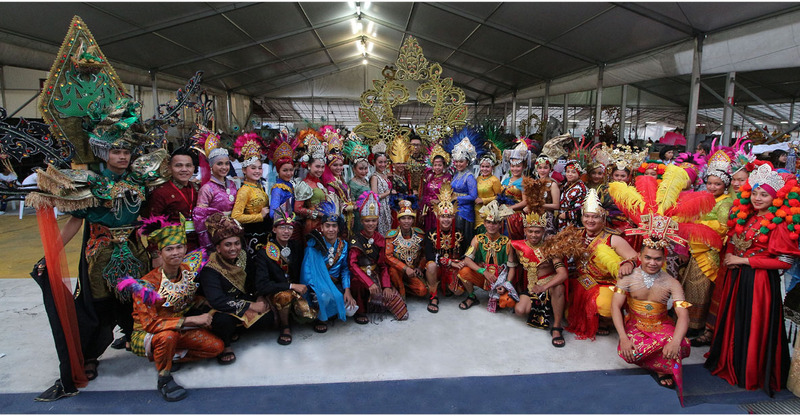 Indonesia opened the parade segment titled ‘Friends of Singapore’ with its theme “Indonesia – Extravaganza of North Sumatra”. Another first for this year was when on the first night Friday 23rd February 2018, HE Ngurah Swajaya, the Ambassador of Indonesia in Singapore, performed together with the Indonesian contingent! This year’s Chingay also saw the collaboration of the Bintan Dragon and Athletic Association together with the Singapore Dragon and Lion Athletic Association to present their “The Flower Dragon Dance” item. PreviousAn Equal Future Only in 2235!? !